Keraflo have manufactured top quality, delayed action float valves in the UK for almost 25 years. 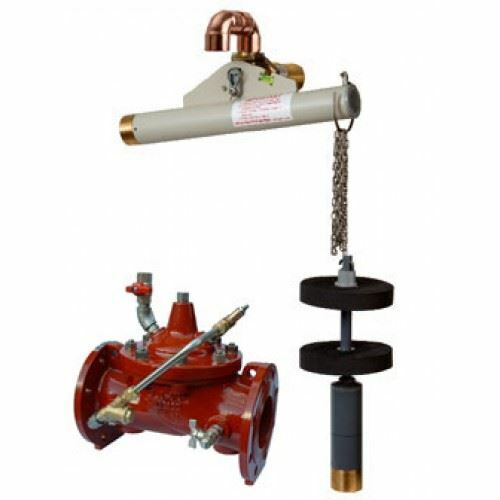 Their Aylesbury™ range is synonymous with float valve excellence with tens of thousands of products in continual use in demanding domestic, commercial and industrial applications throughout the UK and around the world. Aylesbury valves are designed to provide an accurate and efficient method of controlling the level of stored cold water in tanks, with and without raised float valve chambers. Manufactured in the UK in a Lloyds Register Quality Assured manufacturing facility, they are constructed to operate over long periods without the need for maintenance. In addition all valves are WRAS approved and come with a 5-year warranty. The valves are easy to install with an “up and over” discharge arrangement which assists in facilitating Type AA, AB, AF, or AG air gap requirements under the Water Regulations. The Aylesbury range is ideal for pumped systems as the open to closed “on/off” valve operation avoids pump hunting and water hammer. The set water level is unaffected by pressure fluctuation and there is no seat or washer to wear.